One of your better gems – way to go my friend. thanks, George. 🙂 it has been too long since i’ve seen you at our various poetry functions… or heard any new writing, mmm? You use RR a lot. Have you seen film “Emperor of the North ” ? 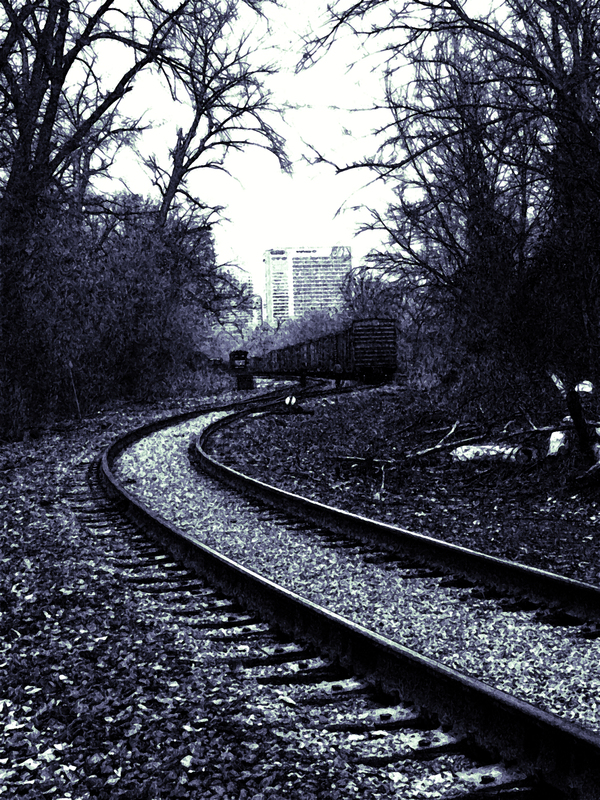 I loved this – the metaphor of the railroad and the slow unraveling of circumstances. Great. ‘preciate it, brian. feel like i’ve been out of it with the writing and posting recently, but that’s passing. seems a while since you’ve been up to rva, no? hope all’s well & whatever sinus infection that was is gone by now. Stormy. Cool transformations of images — clouds, tracks, the birds. The undercurrent of dark feelings, makes one wonder how things will be. Enjoyed this. thanks. i’ve been big on birds in particular recently, not sure why. there is a definite darkness to this one though. Love this! This year I have what I call the Indigenous ear for birds, notice the shadows of the big ones on the ground before I look up, etc. The sound of trains I can remember back the farthest. I was asked often to check out the Purple martins of Shockoe Bottom last summer. Some reason I wasn’t interested. If you have the time please let me know when this starts again if it does? though i didn’t see it, i remember hearing about the purple martins last year, but i don’t remember when it was. i’ll keep my ears open!